Another place unlisted in the literary books I studied and not part of the guides I read, was to be visited soon. This one might have been the least expected of the places to visit even if there was some idea given already. It was where the Ladyewell shrine stood; it was the major factor which attracted as the pilgrimage for a change. When all the other churches were more of architectural marvels, this one was a place for pilgrimage; not the Canterbury type, as this one lacked the historical importance and a big church structure and not many tourists came to the place which was located not that far away from the major roads, but still at a peaceful area which would not have been that easy to find if it was not supposed to be the ultimate destination. There was the spiritual atmosphere and there was the feeling of uniqueness; there was nature with all its beauty, that kind of greenery which brought the memories of Kerala back; there was also the feeling of God and the splendour of the place rested in the simplicity. There was also a cat who stared at people; it was kind of fat and moved slowly making it easier to take its pics; may be it also wanted to pray and worship in its own style, and may be it was its own time to pray at the shrine. There was the statue of Mother Mary and also a stone cross surrounded by the greenery; the autumn effects were less this time, but the beauty was still not to be considered inferior. This was a pilgrim’s progress for me, another spiritual stop during that journey from this world to the other one which is to come; another stage in the different levels of my spiritual world, with my tales; which are just mine and not of any other pilgrim. The journey through the valley of shadow of death would wait, as there was the need to get ready. The church of St. Mary is also located near the shrine and it is quite beautiful even if small compared to the English church size and simple compared to its architecture splendour. The cemetery which is right in front of the church is another wonderful thing to watch, with all its tombstones which has blended with the nature around, and the central tombstone monument standing tall among the rest. What would be more beautiful than living and dying at such a place; for one can enjoy that beauty forever and even after death, be buried in that cemetery. Even Doctor Faustus would have sold his soul to be there, but Mephistophilis would disagree. The Renaissance love for beauty and the ever increasing love for adventure would guide him in the same direction, and he might have left those demonic spirits in the form of Helen of Troy behind just to be with the beauty of nature which is more real; instead of being with that beauty of a random creature who are continuously approaching the world with a perverted mind and that organism which can lead to millions of acts of hatred. Preston, the administrative centre of Lancashire has evidence of Roman activity, but is supposed to have been established by Anglo-Saxons and is mentioned in the Domesday Book which followed the Norman conquest of Britain. As the name Preston might have come from something like Priest’s town, there could have been strong Christian roots for the city. This is evident from the Ladyewell Shrine as well as many other churches around even as there was no huge cathedral in there to be found. There were smaller, but still beautiful old churches around. Some of the other buildings also looked like they might have been churches earlier, at some point in history or even in the last few decades. May be these buildings were of no need after the number of believers decreased or almost reached a point of zippo. It has to be considered a strange thing if it happened so, but not that strange considering the evil and materialistic path on which the world is moving now. As the worship places go down, so will the goodness in the world and their conscience will also disappear leading to that highly immoral world for which Satan would be waiting. The truth is that there are so many Doctor Fautus’ around who are willing to sell their souls and many human Mephistophilis’ who are ready to bring that evil upon the planet. The lack of belief will be what will bring the world down into the abyss, not faith. St, John’s Minster, dedicated Saint John the Baptist might provide proof against it with its beauty of architecture; it did remind me of the Wakefield Cathedral, and upto an extent about Bradford Cathedral and the Leeds Anglican Church, even as they had so many difference between them. It was more about the way we looked at the church building and how we approached it and those pictures taken from the side; they way of photography was so similar that there were similar photos of each of these churches from one or more angles. There was some kind of invisible unity which never gave an offer to leave the mind. Even the Elim Pentecostal Church of Preston was not that far away from attaining a level of greatness in architecture. The beauty of church architecture continued with St. Thomas of Canterbury and the English Martyrs Catholic Church and its beauty was much to be seen even in the darkness which was slowly creeping in and preventing photography. Even its entrance provided so much of treat to the eyes. The museums and parks would add to what was provided by the church architecture, and the trip would be of more value than what was expected when it started and went through a period of foggy weather with some rain which led to a slow traffic which had almost spoiled all plans. St. Walburge’s Church was that catholic church which was difficult to find even as its spire was visible from a long distance. Among all the parish churches of England, it was the tallest; not considering those huge cathedrals. It should be the most important building of the city, as it dominates the skyline, being a landmark. It is of Gothic Revival or Neo-Gothic architecture and was built during the Victorian Era. It is the symbol of peace and religious tolerance during the age of Queen Victoria; it is a symbol of Preston of that glorious age which saw the great poets like Lord Alfred Tennyson, Robert Browning, Christina Rossetti and Matthew Arnold. The church is dedicated to Saint Walburga, an English saint who was born as an Anglo-Saxon princess and later became a missionary, known for her miraculous healing powers. The tall spire is what makes it one of the tallest buildings in Lancashire and after Salisbury and Norwich cathedrals, it has the next tallest spire in England, and it is unmatched among all those parish churches of the land. The height of the building acts as a wonderful addition to its beauty, making it something special. 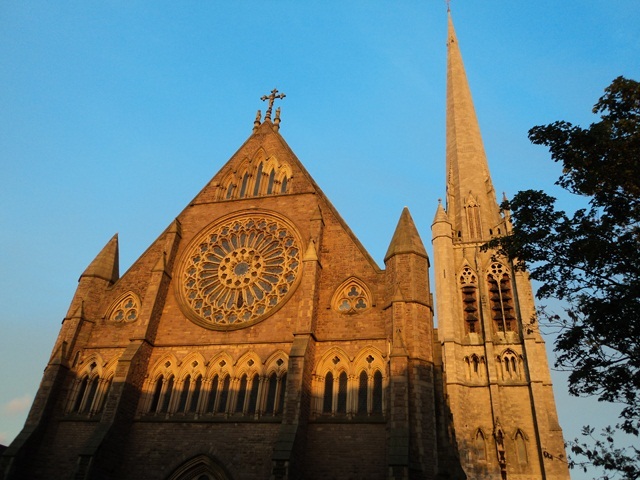 It looked as if it was an entirely different structure and is not part of any church building; that much was its superiority which was matched only by the beauty of the church which ebbed in size, but swelled in the beauty of its Victorian Gothic architecture and the peace which it gave away. The churches like St. Walburge’s would explain why there was a revival of interest in Gothic architecture and how these Neo-Gothic buildings exceeded the number of original Gothic structures that had been constructed previously. All these were to end the trip, but on the way back, something caught my eye and it was something so different and angelic and there was the need to have a look at it; blame it on my ‘very late’ Renaissance spirit. The first impression was that it was a Pentecostal church, but it was the Preston England Temple, as they called it and it is the fifty second operating temple of The Church of Jesus Christ of Latter-day Saints or the Mormon Church. It was strange to find a church having a temple which was so contradictory. This temple was surely beautiful and at night, it was a wonderful feeling to witness it with all the lights on. This faith within Christianity was unknown to me until then, but hearing more about it was quite impossible as it was late and it was not possible to get in and see someone in charge of the building. As most of it seemed to be in the United States of America and the rest in Latin America and the continental Europe, there wasn’t that much to enquire in the United Kingdom. The only thing to do was to enjoy the beauty of that incredible building with a tall spire, from the outside and understanding that it would be an entirely different structure if checked during day time. It is a combination of modernity with the old architectural styles of Europe; it successfully mixed the tradition with modernity. 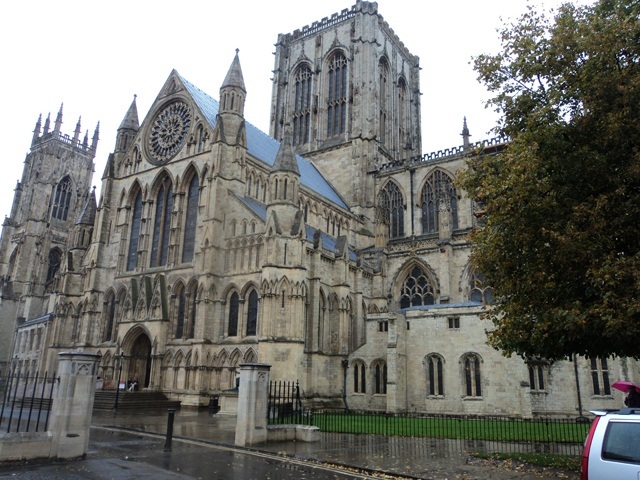 It was a rainy day and I was at a walled city of historic attractions, the city of York Minster and all which followed to make the place a wonderful destination. It was the fort and city in Roman Britain called Eboracum which was transformed into what is now York, as the remains of that conquest from beyond the English channel can still be seen; even as the Roman conquest of Britain began in 43 AD, the city was only founded in 71 AD, and remains are mostly what is left of the walls and fortresses or what is added to them in the later ages. The Anglo-Saxons called it Eoforwic which became the capital of Deira and later of Northumbria. During the viking invasion, they called it Jorvik, as it was dominated by Norse warrior-kings making it a Scandinavian York. The trade relations of the city had extended to the Byzantine Empire and beyond; the Emperors Hadrian, Septimius Severus and Constantius I all held court in the city of York during their various campaigns, and the last one also died in the city and it began the era of his son Constantine the Great, known for adopting Christianity as state religion and also for the Edict of Milan in 313, which proclaimed religious tolerance of all religions throughout the empire; something which was a new thing during that age; also for renaming Byzantium as Constantinople and shifting his capital there, which would later be the capital of the Byzantine Empire or the Eastern Roman Empire for over one thousand years. There is a statue of Constantine the Great beside the York Minster, not just because of his abilities as an emperor, but also because it was at York that he was proclaimed the next king, following the death of his father; he would later defeat the others who tried to established their claims on the throne and would become on of the most well-known emperors of the Roman world and by his death, he had established a great name for himself across the empires and was buried in the Church of the Holy Apostles which was destroyed by the Ottoman Turks after the fall of Constantinople. Some Eastern Christian churches consider Constantine a saint and so many people wished to adopt his name, as it was of that much popularity and it was an honour to be called by the name of an emperor who was more fit than anybody else to be called ‘the Great’. Constantine was depicted as an ideal ruler, the official standard against which any emperor should be measured; and it was great to see his statue on the side of that wonderful church which was the most amazing structure I had seen until then; the first Minster church I visited and the first of those historic church buildings even as it was not among my top ten churches to visit, but that was to change and it was to rise to the top of that list which had more changes than there were names in that list. The cathedral was going to inspire me with those stained glass and the architecture containing all forms of Gothic style through the ages; the Great East Window being the largest example of medieval stained glass in the world. The JORVIK Viking Centre was the first place to visit and bring some Viking stuff resting in the mind to life, and the desire to go to the award winning National Railway Museum was there, which was to happen very late on the day giving me an idea about all those earlier railway engines which used to exist as well as those new models in which I could enter; as I knew it might not happen in real life; but first everything else was overtaken by the York Minster, especially when it kept dominating the skyline and asks for some attention. Also known as Cathedral and Metropolitical Church of St Peter, this cathedral is supposed to be the largest Gothic cathedral in Northern Europe and also the largest example of Gothic architecture which comes under the Church of England. It is the seat of the Archbishop of York, the second-highest office of the Church of England after the Archbishop of Canterbury, and serves as the cathedral for the Diocese of York. A church is supposed to have existed there right from the time of the Romans, but the first recorded church goes back to age of the Anglo-Saxons and Northumbrian kingdom. It was being destroyed by people and fire and rebuilt and repaired on many occasions until there was a new chapel built, this time in the Norman style. The construction of the cathedral in the current form would not be complete until the 15th century even as it started in the 13th century, at a time when the Gothic Architectural was more prominent than the others, giving the church building that look which would make even the Canterbury Cathedral look inferior even when it was higher in status and the number of daily visitors compared to York. The Protestant Reformation had affected the cathedral a lot, as it led to the looting of much of the cathedral’s treasures and the loss of a lotof the church lands due to the policies of Henry VIII. During the reign of Elizabeth I too, there was that effort to remove all traces of Roman Catholicism from the cathedral; there was much destruction of tombs, windows and altars, even as it wasn’t that wide spread as of the man who initiated the process of breaking away from the Roman Catholic Church. But the cathedral is stable now, and looking better than ever; even as there seemed to be a little work going on at one end of the huge building, but considering its size, it was so minute. It was the rain which helped us to reach the church so fast even as the scenes on the outside were so beautiful. There was that Roman Column which is supposed to have stood in a Great Hall of the Fortress of the Sixth Legion of the Roman Empire a.k.a Legio VI Ferrata whose symbol was the bull even as they also carried the symbolic she-wolf with Romulus and Remus. This column, which had collapsed long ago, was erected again at the site on the side of York Minster to mark the 1900th anniversary of the founding of the City of York by the Romans. It looked too old to make an exact comment about it, but a photo was taken; the rain had been preventing more photography by dropping water drops on the camera lens, but there was the need for more and the time was precious, and we went inside quickly. The beauty of York Minster was beyond comparison on the outside and it remained the same inside. The cathedral has a cruciform plan with an octagonal chapter house attached to the north transept, and the entrance and exit on the south trasept; a central tower and two towers rise from the west front and reaches for the skies; the east end was undergoing some renovations on a comparitively small scale; the shop was located right on the side of the entrace and exit, but as the church is such a huge structure, it has to be considered far enough to take a few steps. There is the option to walk to the undercroft, treasury and crypt where photography was banned; there was the history of the church described from all ages, but what is it without photography as there was so much more to feed the brain later and it was to be forgotten easily; a photo should have reminded of all those which were lost in some random corner of the brain, but it went on lost in the memories. The tower was closed right at the moment we wanted to go up, which was a sad thing; the great opportunity to view the historic city from the top was missed; all I would get later was to be the smaller towers of Our Lady Of Dolours Basilica of Trichur and The Basilica of Our Lady of Vallarpadam at Cochin and a view which was not new; but being at England, the best aerial view was to be what was seen from the mound of the Sandal Castle even as the height was not that much. Clifford’s Tower, the keep of York Castle is another runied reminder of what followed the Norman conquest of York, only to be destroyed by the rebels to be built again. It was acentre of the royal administration across England, as well as a very important military base, later becoming a prison and then demolished and still the Keep remains as a tourist attraction, even as it won’t satisfy William the Conquerer in any way. St. Wilfrid’s is a Roman Catholic church located near the York Minster; it could be considered to be of nearly moderate size, but in front of the huge Anglican cathedral, it remains as if it is a small chapel or just a part of the shadow of the Grand building. It is built in Gothic Revival style with its arch over the main door having one of the most detailed Victorian carvings ever, and its altar was incredibly beautiful as it was adorned with pictures and statues in such a way as to there was not much left to beautify any more. Upto an extent, it achieved in simplicity and difference, close to what York Minter had; even as the distance in the importance was still too much. The medieval structures never stopped appearing before the eyes, as I walked through those streets which were mostly stone-paved and on other occasions so narrow but still so beautiful that I had to wonder about the beauty of little things which exist as joy forever; thanks to history and thanks to those blessed writers. The joy of being at one of the best Gothic cathedrals in the world was combined with all these features of the historic city and I was a lucky man. I never knew about this place until I visited; ‘The Vicar of Wakefield’, the novel by Irish author Oliver Goldsmith was something which I came to know about, only later; for until then, I knew only one vicar, the priest who gave me handshake after a Sunday Mass; and that would contribute to my ignorance level which had to be obliterated slowly and steadily. This city located by the River Calder, was witness to a lot of wandering from me and should be glad not to see more from me, or might be missing my presence at least upto some extent. The city was even in the Domesday Book and its historic importance is not to be forgotten with that ease. Wakefield was indeed a wonderful place to start being a tourist, along with Leeds which were both in close proximity to each other; beginning from a city which was not even in the list of places to visit or could be visited, became the city most visited in that journey which was more memorable than the greatest trip that ever happened before that. There was life right from the name of the city; enough to awaken me to that field of battle which is life; there was no doubt about the city’s ability to inspire and motivate at a high level. Right from the Sunday Mass at St. Austin’s Church, it was journey to remember, in all ways possible; for the beauty of that church would surely be exceeded by bigger churches of splendour, but that was a humble and simple beginning with certain amount of beauty. From staring at the Chantry Chapel of St Mary the Virgin, located on a medieval bridge over the River Calder in such a way that it was impossible to determine what it was. Being the oldest of the surviving bridge chapels in England, its importance had no limits though. The chapel which was used for worship until the Reformation when all of Wakefield’s chantry chapels were closed. The bridge chapel is supposed to have survived just because it is a structural element of the bridge. Even when we look at it, they are not to be treated as separate identities; even as there is a contradiction there concerning the bridge and the chapel. Wakefield Cathedral is the other important place of worship, and with the tallest spire in Yorkshire, dominates the skyline of the city as it is the tallest building in the City of Wakefield. The cathedral has Anglo Saxon origins even as it has undergone many changes from the first building on the spot. It is a Gothic structure with small, but beautiful interiors; still quite big considering the size of the churches back at home. Being at Wakefield Cathedral was quite a feeing and so was staring at the bridge chapel; the need to go more into history then started trying to fly; that desire had got back its wings and it led to one place, Sandal Castle which was a ruined medieval castle overlooking the River Calder. 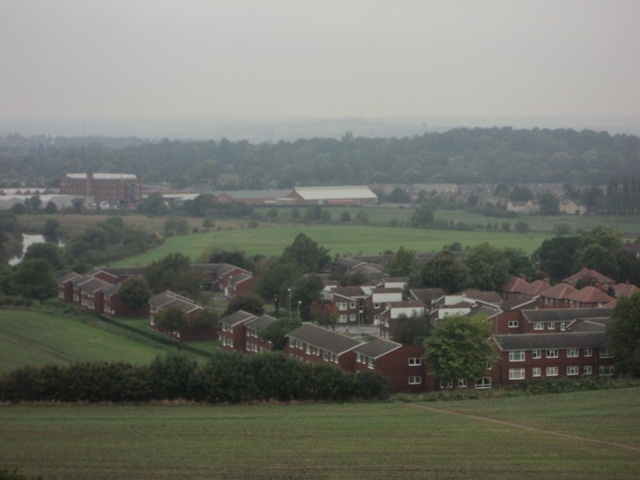 This was where the Battle of Wakefield took place in 1460, one of the major battles of the Wars of the Roses; those series of dynastic civil wars fought for the throne of England between supporters of two powerful rival branches of the royal House of Plantagenet: the House of Lancaster with the red rose as badge and the House of York with white rose as badge. The opposing forces were a Lancastrian army and the army of Richard, Duke of York in which the latter was killed and his army was destroyed. There was the feeling of standing on a battlefield where so many were killed and their blood made the land fertile as if it wanted that blood like a vampire hidden in green clothing. This was the first time which I could feel history coming alive right in the same sequence by which I read it; the small world of the ruins of Sandal Castle was more than enough for that feeling, even as the castle before destruction would have provided more of that, but unfortunately, I was born in the wrong century; too late to witness history and also too late to see the greatest events. During the English Civil War, when Sandal Castle belonged to the Royalists, there were many sieges of the castle and combined with neglect, it was left in ruins. This stone castle which was built over seven hundred years ago, some of it already being part of what was there two hundred years before that. The first castle was built by William de Warenne, the son of one of the noblemen who came to England from Normandy with William the Conquerer in 1066 during the Norman invasion of Britain. He owned the Manor of Wakefield and was in need of a place to defend himself when he came to the city. His faily owned castle almost continuously for another two hundred and fourty years before coming into royal ownership and being demolished. There is the clear description of all this history at the spot of ruins of Sandal Castle. There is a breathtaking view from the top of the mound on which the castle once stood; it is the natural beauty of Wakefield; something which would help someone to be ready before a visit to the Lake District; as this is some beauty which is so magnificient that everything else in the world is forgotten for a minute; even the Sandal Castle and the whole history behind it. The ruins of a great castle, a battlefield, a river and greenery along with the cool breeze; what could be better than all these at the same time? There are not many things which can substitute to such a situation, but Nostell Priory did come close, even as that was the best it could do. Nostell Priory is a Palladian house; belonging to an architecture inspired from the Venetian architect Andrea Palladio’s works, and is so close to the nature that it made me wonder how it is possible. If this was somewhere back at home, there would be flats made on all these beautiful sides of nature and it would be exploited to the core; but there I saw all of nature, so perfect and as wild as it could get, with even cows roaming around with no fear; they were so fat and they had more order than some people; they were as if following a time table as they walked around. The Priory was a twelfth century Augustinian foundation, dedicated to St Oswald which was abandoned by the monks due to the Reformation and the resulting Dissolution of the Monasteries by Henry VIII. But a holy presence might have still remained there, as there was so much peace even among the creatures; there was something special about the water bodies and the trees too, as the divinity still seemed to exist in the place. Except for the historic significance, the Sandal Castle and the Nostell Priory are not to be seen as separate things as they both were that close to the nature that there were doubts about what they really were; other than being inspiration to the poets of nature. The Sandal Castle was too ruined to be called something of an architecture while Nostell Priory had a more significant nature side than the limited architecture which required to pay for the visit, except for the Obelisk which required such a long walk which made me think of walking all the way back home. The different crop fields on the road side and a golf course would contribute to the beauty of nature at a lower level; as the best of them had already become a treat for the eyes and also the soul where it would be stored for the rest of the life; may be to be used in future, somewhat in a situation which is more poetic than what I am doing right now. For the people who don’t know much about this city, it is Wakefield and it is an extraordinary place to visit; for it has everything as long as one doesn’t become too greedy and ask for something which is not fit to be in the city. I would support Wakefield football club about which I know nothing about, just for the love of this city. The largest city in Scotland and third most populous one in the United Kingdom, is what I visited as the first big place in Scotland. The city is situated on the River Clyde and could be visited along with Edinburgh as both cities are not too far away from each other as long as there is transportation. The origins of Glasgow as a city can be traced back to the tenth and the eleventh centuries even as an earlier religious site was known to be established by Saint Mungo near by. The founding of University of Glasgow as the fourth oldest university in the English-speaking world; one of Scotland’s four ancient universities which was a major centre of the Scottish Enlightenment, as well as the effects of Industrial Revolution, made Glasgow a superior city. The city produced textiles, chemicals, engineered goods and steel along with being a superior force in the shipbuilding industry. The city has a mention in ‘A tour thro’ the whole island of Great Britain’, the travel accounts of Daniel Defoe, the author of one of the greatest colonial novels of all time, Robinson Crusoe. He was all praise for the city as he termed it as the cleanest and beautifullest and best built city in Britain with the exception of the capital city of England and the United Kingdom, London and it was difficult to prove him wrong, even before the Industrial Revolution. The city is considered one of the safest in the world and as its coat of arms has a number of symbols and emblems associated with the life of Glasgow’s patron saint, St. Mungo, also known as Saint Kentigern and his blessings which is supposed to keep the city safe, as most of his miracles are supposed to have occured in the same city itself. 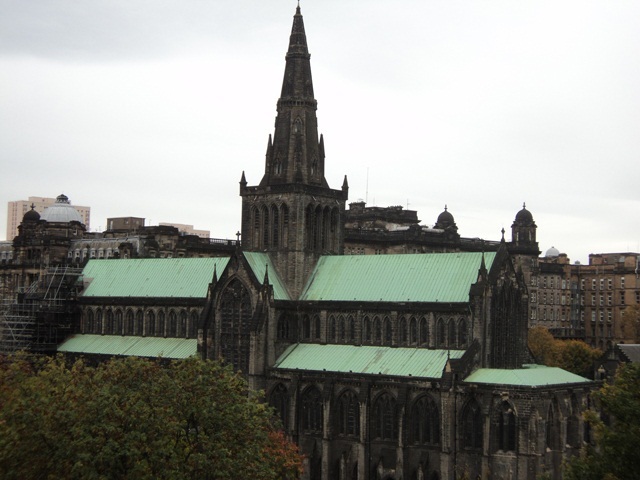 The cathedral dedicated to him, in the city is a beauty; looking at it from the top of Glasgow Necropolis hill. What attracts the most in Glasgow is this Victorian cemetery in Glasgow, the Glasgow Necropolis close to St. Mungo’s Cathedral and located at an elevated place resembling a hill. It is a huge graveyard with lots of stylish monuments which dates back over centuries; only a small percentage are named on monuments though, and not every grave has a stone which leaves most of the dead and buried people unknown. With the number of people visiting the church decreasing, and the area for burial also getting filled, there was always going to be the need for something like this, and I wouldn’t be surprised if this kind of problem arises for the churches outside Europe too; there is the need for big burial places like this everywhere, as the people will keep dying and none of them comes back not even in the form of zombies. The Resident Evil fans might disagree, and I would agree if this was that much of a horror movie. Even ’28 Days Later would have done the job, but as we wait for such an apocalypse, there is need for graves; something like this grave yard, a city of the necrons like that in Warhammer 4000: Dawn of War – The Dark Crusade, the wonderful strategy game based on Games Workshop’s popular tabletop wargame of the same name. There are so many football clubs in Glasgow even as I thought all the action was restricted t England mostly with Manchester United, Chelsea, Liverpool, Arsenal, Manchester City, Everton and Newcastle United; a few teams which seemed to be representing football in the island. Even Leeds United had further representation in my mind until I reached Glasgow. I would keep Partick Thistle Football Club and Queen’s Park Football Club reserved for later visits as it is all about the Celtic Football Club and the Rangers Football Club for now as they kept the Scottish Premier League trophy away from all the other teams; the ones who denied the other teams any opportunity to get anything from their league. Rangers have already won 54 League Championships, which translates as more national championships than any other football club in the world. They have won the Scottish League Cup itself 27 times that more than any other football club of Scotland and the Scottish Cup 33 times. In 1961, this team reached the final of the European Cup Winners’ Cup, becoming the first British club to reach the final of a UEFA club competition. They have also won the Scottish Football League the most number of times, one more than their rivals Celtic after trailing to them, with consecutive championships in the last few years and looking good to win the current one too. The fierce rivalry between the two teams from Glasgow would continue, and it might make sure for a long time, that the trophy will always come back to the same city. The two clubs, when considered together, are the most successful in Scotland, having won between them 96 Scottish League championships, 67 Scottish Cups and 41 Scottish League Cups with the power to continue winning more, with one of these teams coming second too. Since the 1995–96 season, this power of the two teams has been proven and these clubs have finished in the top two places in every season, apart from that of 2005–06, when Heart of Midlothian Football Club finished second ahead of Rangers; Celtic has never gone below the second place position though. Rangers and Celtic had played each other 396 times: Rangers winning 158 matches, Celtic 143 matches and 95 of those hard fought matches ended in draws, not disappointing the fans of both sides to a hight extent. The clubs surely have huge fan bases around Glasgow as many people do take sides, but they also have supporters in most towns throughout Scotland and in many cities around the world, and I would add Cochin to one of them, as I have become a fan too, more of Celtic than of Rangers as I am always the fan of the team which stays behind and is looking to rise to the top; a reason to support Manchester United this year, even as I won’t watch the English Premier League. Coming back to the Celtic Football Club, as it is not to be given any lesser importance; may be I would consider it with more passion. Contributing to the Scottish economy along with its rivals and providing some of the best football matches, they would force me to watch the Scottish Premier League forever, provided the cable television operators will come up with a channel showing these; until then it is all English Premier League on television along with a little action from Spain and Italy. But Celtic will still remain in my favourites list, for there is youtube and there is that wonderful word ‘Celtic’ which keeps running through my ears all the time with my journey through the History of English Language and Literature. Tracing back to those diverse groups of tribal societies in Iron Age and the Roman-era Europe who spoke Celtic languages and were driven to the north of the island by the Romans themselves and later the Angles, Saxons and Jutes; not really in the path of that history would this football club develop, but it still gives that feeling of history to me. The earliest archaeological culture of the area might be Proto-Celtic and now this Celtic Football Club holds that name. For me, this serves as a reminder to everything I read and studied about this Celtic culture and language. This cohesive cultural entity influenced me the most with Celtic Cross even as the Celtic languages form such an important branch of the larger Indo-European family and split into several different language groups, and spread over much of Western continental Europe, the Iberian Peninsula, Irish islands and Britain. The origin for the Celts as a distinct cultural branch of the Indo-European family would be as much important to me as the Celtic Christianity and its wonderful forms of cross not only with that cricle around the middle of those four arms of the cross, but also with all those carvings which we see on them. There have been so many similar crosses all around the crosses including those areas outside Ireland and Scotland as well as continental Europe which might have been influenced by the same; those types can be seen even in Kerala in the south of India, but I wouldn’t attribute them to the Celtic origin. This contribution, I consider more impressive than the small contributions to the English language, as the influence of the conquerer’s languages were to be less important, and the Celtic crosses at Necropolis were that good. Coming back to the Celtic Football Club, it has my favourite logo and a wonderful structure which looks historic from the front; the attempt to get into it was spoiled as it was not open at that time. Drinking hot chocolate, tea as well as eating French Fries from what looked more like a ‘thattukada’ on the front of the stadium was good. To add to them, there was St Andrew’s in the Square, and there were museums.